In the twenty-five years since, Gluckstein has indeed gone deep. She’s traveled far, both in terms of air miles and insight into the human condition. 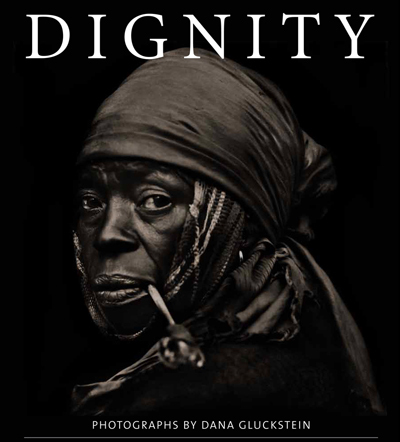 Her quest to document indigenous peoples — many of whose cultures are threatened — has resulted in the stunning book Dignity (powerHouse Books, $39.95), published this month to coincide with the 50th anniversary of Amnesty International. As Gluckstein is quick to point out, Dignity is more than just a beautiful coffee table book. It’s also a passionate call to action. While indigenous peoples comprise six percent of the global population and are among its most impoverished and oppressed inhabitants, they remain largely invisible and it’s easy to ignore their plight. Shot in black and white on a vintage Hasselblad, Gluckstein’s images show us the beauty, strength, and vivacity of these “first peoples”. Often intimate, sometimes breathtaking, the photographs in Dignity have a classical feel and a rich, velvety softness. Gluckstein’s artistry is matched by her deep compassion for her subject matter — a compassion that has sustained her through a quarter century of work.